Susan Shiroma, Senior Social Sector Librarian, provides leadership and support for Foundation Center public services for social sector and philanthropy professionals in the New York City metropolitan region. Susan has been with the Foundation Center since 1995. The Westport Library has the distinction of being a Funding Information Network partner of the Foundation Center, the nation’s leading authority on organized philanthropy. The Center’s three powerful databases are accessible free of charge on Library computers. 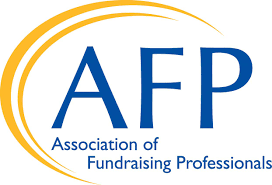 Foundation Directory Online Professional (for nonprofits) informs users of grants given by the largest 10,000 public and private foundations in America. Foundation Grants to Individuals Online lists funding support to individuals. Foundation Maps is an interactive resource that helps people see what is being funded worldwide. If you need assistance, the staff at the Reference Desk is trained to provide support. Call 203-291-4840.